Cover of the '68 Comeback Special Deluxe Edition DVD. It was Dec. 3, 1968. I had dragged our old comforter (green on one side and gold on the other) out onto the carpet and positioned myself exactly one foot from our old Zenith television set. Singer Sewing Machines presented “Elvis” in his first TV special. It was not called The Comeback Special at the time because Elvis hadn't really gone anywhere. He was just doing the Hollywood thing and so nobody had seen him in performance for eight years. The NBC peacock flashed on the screen and then so did a close-up of that handsome face. "Are you looking for Trouble?" A vision in black leather. I mention this because this year marks the 50th anniversary of what is now known around the world as the 1968 Comeback Special because it put Elvis right back where he was destined to be: On stage and on top of the charts. This Thursday, which marks the 41st anniversary of the King’s passing, select Cineplex Theatres across the globe bring Elvis back to the big screen in all his glory. It includes the special as it aired on TV plus behind-the-scenes footage of the making of the special. I know for sure his fans will be there as we all make plans to go in groups to see it as a family. My wish is that people who don’t know much about Elvis will go see it, too. If you have ever wondered what it is that keeps Elvis eternally alive or why people still flock to Graceland or Collingwood or a hundred other festivals each year to honour this man — give him one night to show you. Just give him two hours! Anyone who says they love music in any form owes a debt of gratitude to Elvis and the others who created a new sound in the 1950s. It doesn’t matter if you love country or gospel or rap — your favourite artist was in some way inspired by Elvis Presley. He was a true original in talent, in fashion (I will lay odds nobody has ever looked so good in a leather suit), in swagger and in depth of character. This program was supposed to be a Christmas special. His manager wanted him to come out and sing some holiday standards and call it a day. Thank goodness a savvy young producer, Steve Binder, knew there was more to show. He gave Elvis the freedom to just be himself. He put him in an intimate room on a square stage and surrounded him with fans and then let him loose. Elvis was petrified about his first live performance in almost a decade. He was backstage just before it was time to go out and literally told the producer he could not do it. He was afraid he didn’t have the magic anymore. Of course, he had it in spades. Also, if you can imagine, this show would be the first time his wife, Priscilla, had seen him on stage. The final song, If I Can Dream, was specially written for Elvis as a message song for the times. In 1968, Martin Luther King Jr. was shot at the Lorraine Motel in Elvis' hometown of Memphis. Bobby Kennedy had also been assassinated that same year. It was a turbulent time. This song totally stands the test of time. Elvis: the 1968 Comeback Special will be playing Aug. 16 at the Galaxy Cinemas Barrie North. As someone once said all we have to do, as fans, is make the introduction and Elvis will take it from there. At select theatres Elvis tribute artists will be doing meet and greets and short performances in advance of the show. In Barrie, award-winning Bruce Andrew Stewart will be meeting the public. I invite you to see this special one time big screen anniversary presentation and experience the enduring magic that is Elvis. 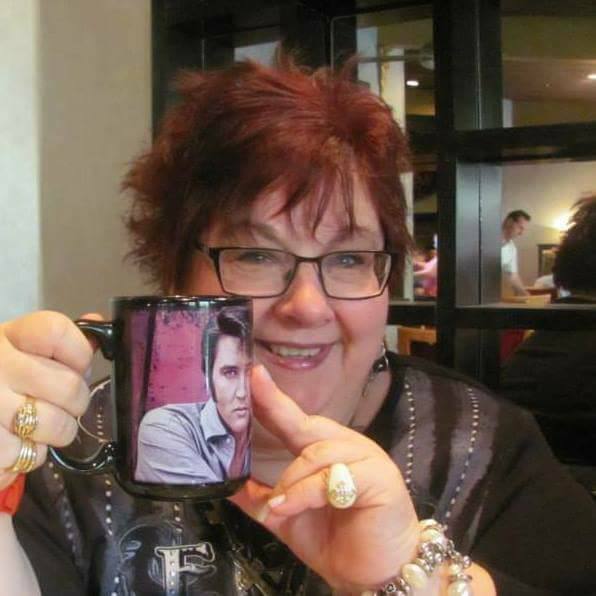 Write, Wendy King, whose articles appear in Barrie Today, is a lifelong Elvis fan. Photo, courtesy W. King.